Motor carriers have always taken drug abuse seriously, but they have even more reason to do so now. The Federal Motor Carrier Safety Administration has released proposed regulations that would create a drug and alcohol testing clearinghouse for interstate truck and bus drivers. On March 19, 2014, Crystal Transport, Inc., of Boston was ordered to stop doing business in interstate commerce after FMCSA investigators found evidence that three drivers, all of whom had tested positive for controlled substances, had been allowed to transport passengers for most of 2013. On March 11, 2014, federal investigators found that the motor carrier GEG Construction, Inc., of Indian Orchard, Massachusetts, put drivers to work before receiving their drug and alcohol test results. Although the test results were negative, it was a violation of federal law to allow them to drive before the results were received. In another instance, a driver without a valid commercial driver’s license was allowed to drive. On February 25, 2014, federal investigators found that motor carrier Allen Quandahl, LLC, of Waukon, Iowa, also employed drivers before receiving their negative pre-employment drug and alcohol test results and also allowed a driver without a valid commercial driver's license to operate a commercial vehicle. Thus far in 2014, the FMCSA reports that it has revoked the operating authority of more than 75 bus and truck companies and has levied thousands of dollars in fines. Nine motor carriers and four commercial drivers have been declared to be “imminent hazards” to public safety. 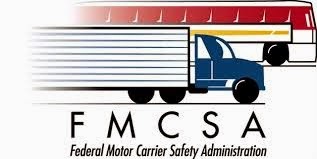 According to the DOT, for each of the past three years, federal and state safety inspectors have conducted approximately 3.5 million random roadside inspections of commercial vehicles and of their drivers, according to the FMCSA. ·         In 2013, on 2,095 occasions, or in 0.23 percent of the unannounced inspections, a CDL holder was immediately placed out-of-service and cited for violating federal regulations governing alcohol consumption. In 2012, FMCSA records show that there were 2,494 violations of this regulation. ·         In 2013, on 1,240 occasions, or in 0.13 percent of the unannounced inspections, a CDL holder was placed immediately out-of-service and cited for violating federal regulations governing controlled substances. In 2012, FMCSA records show that there were 1,139 violations of this regulation. To combat the hiring of unsafe drivers in violation of FMCSA Drug & Alcohol Testing Regulations, the Agency has issued Proposed Regulations Creating a National Drug and Alcohol Testing Clearinghouse for Commercial Truck and Bus Drivers which will be the topic of a free Constangy Webinar on April 16, 2014. Once a final rule is in place, employers will need to update their FMCSA and Federal Transit Administration (FTA) policies, forms, and toolkits; adopt various internal reporting and confidentiality protocols; and conduct training and modify their Service Agent contracts. The regulation, if adopted, will touch every CDL holder and their employers, and is the most significant regulatory change since 2001, when the regulations at 49 CFR Part 40 were adopted. The Constangy Workplace Drug Testing Practice Team is ready to guide our clients in all of these DOT regulated areas, as well as with state specific drug free workplace policies. ·         The proposed rule will also require employers to report actual knowledge of traffic citations for driving a commercial motor vehicle (CMV) while under the influence (DUI) of alcohol or drugs. Josefina Hernandez, who suffers from diabetes, was discharged instead of being accommodated by Walgreens at its South San Francisco location. 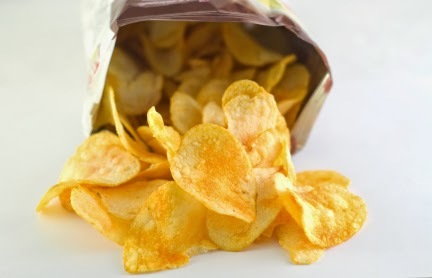 After almost eighteen years of employment with no prior problems, Hernandez was fired for consuming a bag of chips valued by Walgreens at $1.39 prior to purchasing it. While at work Hernandez began shaking and sweating from low blood sugar and consumed the chips to stabilize her blood sugar in the midst of her hypoglycemic attack. Hernandez almost always carried a piece of candy in her pocket for situations when she felt her blood sugar getting low, but she did not have anything on her that day. She knew she needed to do something quickly, so she reached for a bag of chips. After she was under control she went to the cash register to pay for the chips. No one was there so she left the empty bag of chips under the counter planning to come back and pay for them later. Her manager found the empty chip bag and accused her of violating the Walgreens “anti-grazing” policy. When her supervisor confronted Hernandez about the “grazing” incident, she admitted to opening and eating the chips. Hernandez was asked to provide a written statement which read, "My sugar low, not have time." Walgreens fired Hernandez for a violation of their strict "anti-grazing" policy which forbids employees from eating store merchandise before paying for it. Hernandez supervisor claimed he fired her because there was no "gray area" or "discretion" under Walgreen's policy. Hernandez then filed a charge with the Equal Employment Opportunity Commission, who then filed a lawsuit on her behalf. Recently, a Federal District Judge in San Francisco rejected Walgreen's motion for summary judgment allowing the EEOC to pursue its Americans with Disabilities Act (ADA) suit on behalf of Hernandez. Judge Orrick held that whether or not Walgreen should have accommodated Hernandez based on her known medical condition was "a question of fact for the jury." The case is EEOC v. Walgreen Co..
Common Sense Counsel: This lawsuit is about Walgreen's efforts to prevent employee theft of store merchandise, which Walgreens estimates results in $350 million in losses each year, versus accommodating a disabled worker. 1) Have a written and signed job description compliant with the ADA. How can you accommodate when you do not have a clear understanding with the employee of their essential job duties, functions and work environment? 5) Listen well and respond only when you have all of the information and a well-considered ADA compliant plan or response. Responding too quickly may put you on shaky ground like Walgreens – and in federal court. In the past, many Alabama employers chose not to contest UC claims and did not respond. This often allowed individuals who were not actually eligible to receive "overpayments." If an Alabama employer establishes a pattern of failing to timely or adequately respond to a requests from the Alabama Department of Labor (ALDOL) for information as to a claimant's eligibility, the employer's account will be charged for the benefits even if the claimant is eventually disqualified. On the flip side, a former employee who fails to appear for their unemployment benefits hearing can end up with a referee ruling which can serve to bar claims under other discrimination statutes. Recently, an ALDOL referee determined that Indian Rivers Mental Health Center had a legitimate disqualifying reason for discharging employee Terri Franks after she failed to appear at the telephone hearing. Franks later filed a claim of interference and retaliatory discharge under the Family and Medical Leave Act (FMLA) only to see her case dismissed by a Birmingham Federal District Judge Sharon Blackburn who held that the “dishonest conduct” unemployment agency ruling “collateral estopped” (i.e. blocked) Frank’s FMLA suit and awarded summary judgment to Indian Rivers. Franks v. Indian Rivers Mental Health Ctr. The wording of the referee’s determination in this case was critical. Common Sense Counsel: Win the Alabama Unemployment Compensation referee’s ruling and most often you have won the first post-discharge skirmish with the former employee. The lesson is that Alabama employers should go all out to win the referee hearing with all first-hand witnesses and documents ready to present. When you tell an employee “your fired,” make sure you have all your ducks in a row and can demonstrate on paper and with testimonial evidence that a just cause UC disqualifying termination occurred. Judge Blackburn’s well drafted decision creates a real incentive for Alabama employers to get fit to win the Unemployment Compensation case as it may allow your attorney to drive a legal stake thought the heart of most subsequent discrimination or retaliation claims. But this ruling is a two edged sword for the unprepared employer. If the employer elects not to attend the telephone hearing, but the former employee appears, gives testimony, and submits evidence, the employer may find itself without a viable defense later when the former employee’s discrimination or retaliation claim goes to court. Or when the employer elects not to appeal a misguided clearly wrong referee decision. Attending an Alabama UC Bootcamp Session now will help an employer get fit to win and use these new UC teeth to your advantage!